We have come a long way with baby transporting and if you are looking up for a baby stroller then you’re living in the best and easiest times. We love seeing new things. So do our babies. A luxury stroller is a stylish way to be in more places and see lovely surrounding without leaving your child behind. 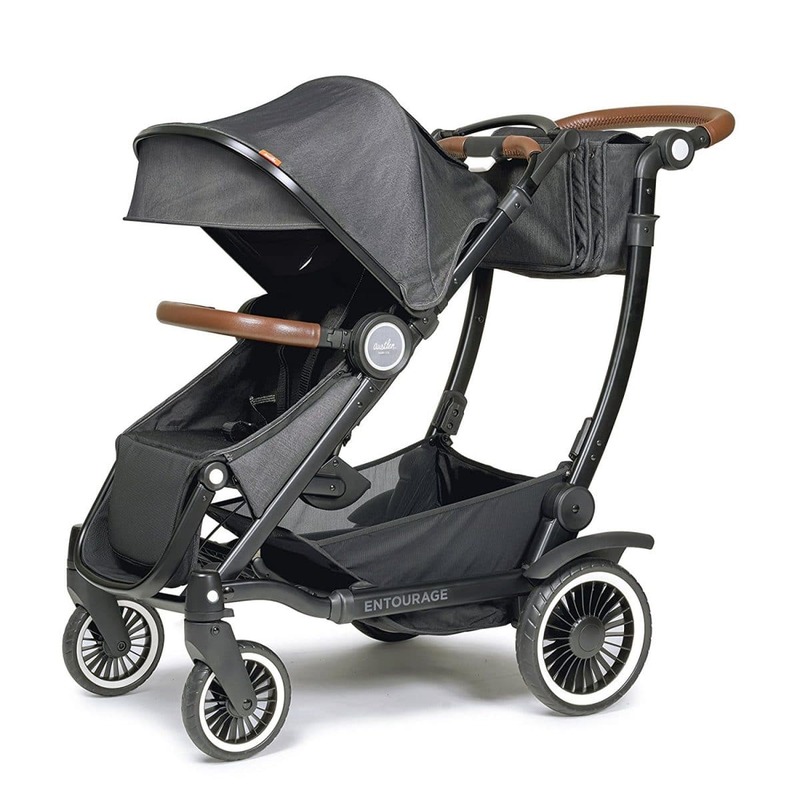 Pushing a luxury stroller is also a stylish way to keep fit. We understand getting the right stroller is tough. 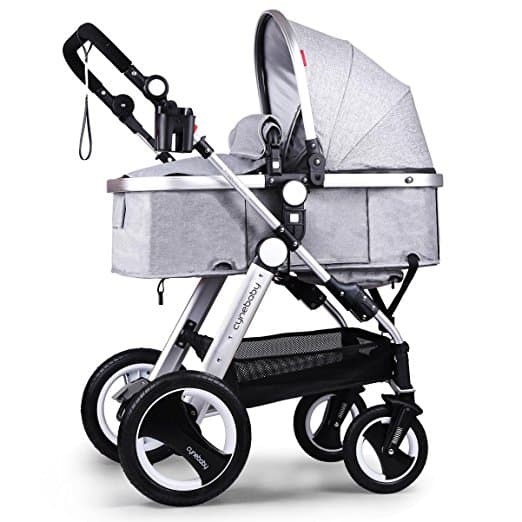 We also understand that you always want the best for your precious one, the reason we have put together a list of best luxury strollers 2018 for you. 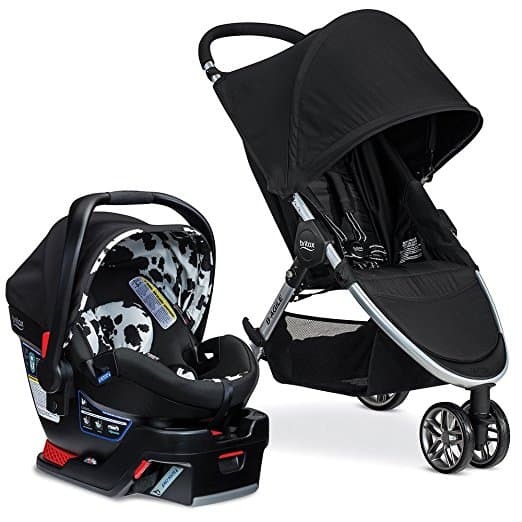 Let’s compare the different features of the top 10 best luxury strollers. What are the different types of luxury strollers? How many children will use the stroller? What terrain will you ride on? Seatbelts on a luxury stroller are very important. You will be traversing different kinds of terrain and you need to be sure that your child will be safe. A good luxury stroller will have a 5-point harness to prevent your child from slipping. Brakes are an important safety feature in any stroller. The brakes should be easy to engage and disengage. They should be placed away from the child’s reach for maximum safety. The recline feature is important in every luxury stroller. This will enable the baby to sleep peacefully when in a near flat position and give them a view of the surrounding when upright. It should also be hassle-free to recline the seat. This feature is important since not all tires are good on any terrain. Plastic tires will not perform well off pavement. Air-filled rubber ones are best on any terrain if they are not flat whereas foam-filled tires can handle all terrains. You will often need to carry the luxury stroller. Whether upstairs or while on city errands. Lightweight luxury strollers are great as you can carry on one hand while using the other hand to carry other stuff. How easy is it to fold the luxury stroller? Some strollers fold in two steps, others one, while others more. An easy and quick to fold luxury stroller will make your life easier. How foldable the stroller is will also determine where they can be stored. The most compact is the best for travel as they do not take up much space. Depending on the terrain you will be mostly traversing, this is a feature you should have in mind. The suspension on wheels will ensure a smooth ride. Pneumatic wheels can take tough terrain while plastic wheels are best on urban terrain. You will need to carry with you a few personal items such as your baby’s diapers. You can’t carry everything with your hands and mostly if the luxury stroller you are using needs both hands to push. Get one with a storage basket and pockets for other things such as your mobile phone, baby’s toys, and their diapers. If you will be using the luxury stroller at the supermarket, you might need one with a market tote. 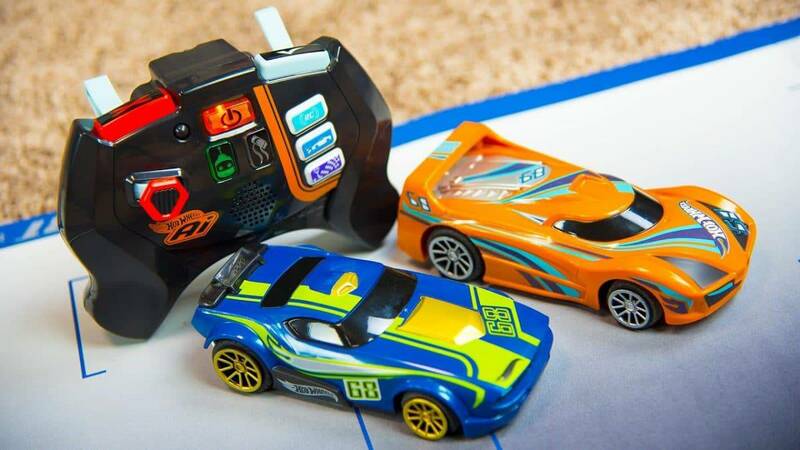 There are other features such as different speeds. Some luxury strollers can offer 3 different speeds to enable you to jog, walk or run while pushing the stroller. Reclining seat will allow your child to sleep comfortably when flat or to sit upright. A canopy will protect your child from harmful sun rays. 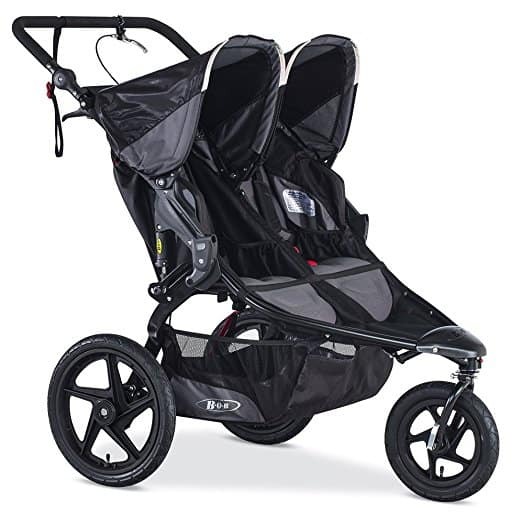 Why we like it: This is a lightweight yet durable all-terrain jogging stroller. The rear wheels are large, thus giving you a smooth ride and has a large capacity (65lbs.). We also like the super strong, durable, and easy to clean fabric. It folds and unfolds easily and it’s compatible with most popular car seats. The 3-mode front wheel is another killer feature given the price point. The Bumbleride 2016 Speed Stroller is a lightweight pushchair that will make it easy for you to push. It comes with 3-speed steering that will enable you to control your speed through most terrains with less hassle. Its handlebar can be easily adjusted to 46 inches to fit your height. The handlebar has a grip that will allow you to steer the stroller with one hand so you can use the other hand to carry other items. You will love the convenience of the storage bin that can hold some baby stuff. To add to the storage bin are the pockets at the back of the seat that can hold a few additional items. Your baby will love the comfy padded seat and the padded straps that will keep them comfortable and they will enjoy their ride. It also features an extendable canopy that will help keep your little one from the sun’s rays even when the stroller is fully reclined. It also has a peekaboo window so you won’t have to walk all the way around to the front to check how your little one is doing. How about a luxury stroller that can fully recline? This stroller has been designed to recline all the way to give your little one comfort when sleeping. It comes with a single action foot brakes that are easy to engage for your baby’s safety. The stroller also features 3-speeds steering that will enable you to maneuver different terrains and corners with ease. When walking, you can set the wheel to rotate 360 degrees that will make it easy for you to navigate sharp corners. 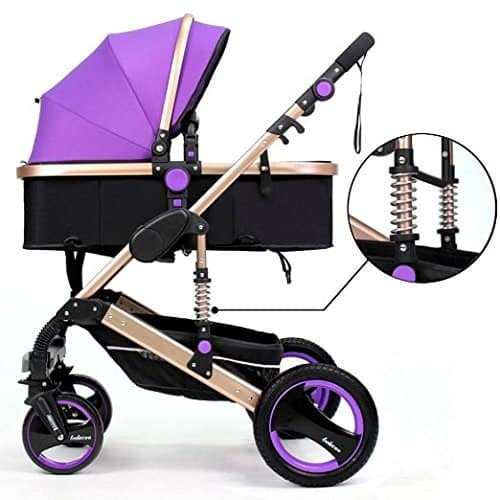 The wheels can also be locked at 30 degrees which is convenient when jogging or fully locked for a sturdy stroller when running. Its rear and front tires are huge and air-filled that makes this stroller best for all kinds of terrain as they are shock absorbent. In addition, the wheels are fully suspended to give you and your baby a smooth ride. The Bumbleride 2016 speed stroller has been built to last thanks to the strong aluminum frame that will withstand all outdoor elements. Its fabric is strong and easy to wash. You will love that the stroller can hold up to 65 pounds and will comfortably carry your baby from 2 years to 5 years. The stroller is foldable and self-stands to make its storage easy. Also, the stroller comes with its own air pump for the tires and a 3-year warranty. The Bumbleride 2016 Speed Stroller is the best jogging stroller. It’s lightweight and durable and as the name suggests, it has the best speed. It handles all terrains perfectly you can use it for a long time thanks to the large capacity. 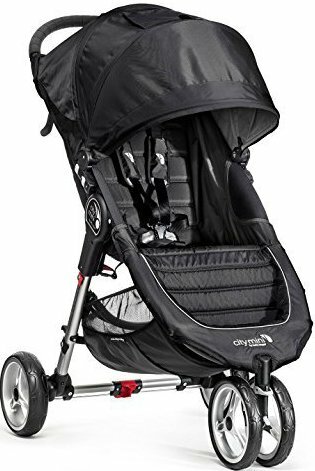 If you love jogging or running and are looking for an everyday use luxury stroller, this is just it. It’s also the best jogging stroller for both taller and shorter parents thanks to the adjustable handlebar. Why we like it: This stroller is unique from others since it has been designed to carry a combined weight of 150 pounds. It can be reclined to 5 different positions with an adjustable footrest for your baby’s comfort. We love that it can be converted to a double stroller and can take up two car seats. If you are a busy parent with more than one child and always carrying a lot of stuff with you, look no further than this great stroller. Its frame extends to enable you to carry almost anything. You can also add an extra seat to it for your other baby making this a good choice for multiple kids. The second seat can be folded without removing it from the stroller when you don’t need it. You can also use the 3-position market tote to tote items while shopping. The large canopy will protect your baby from sun’s rays. It has a mesh peekaboo window for you to check out on the baby from where you are pushing the stroller. The seat can be reclined to 5 different positions and the leg rest adjusted for your baby’s maximum comfort. To add to their comfort and safety is the shoulder-padded 5-point belt. The wheels have suspensions and can be locked for a smooth ride on bumpier terrains. The handlebar adjusts to fit parents of diverse heights. It has no-flat wheels with metallic bearings to offer your baby smooth rides. When it comes to your baby’s comfort, the brakes of this stroller easily engages with a single foot touch. The stroller folds easily with 3 steps and can stand by itself taking small space when folded. The frame locks by itself making storage an easy thing. The never flat wheels will ensure you don’t have to worry about an air fill pump. It can carry a weight of up to 150 pounds thanks to the strong aluminum frame. The unique extendable frame of this stroller makes it a multipurpose stroller. Its rugged tires and heavy suspension on all wheels will ensure a smooth ride and great maneuverability on all kinds of terrains. Its generous carrying features and ability to add an extra car seat makes it a good choice for busy parents with multiple children. Why we like it: The BOB 2016 Revolution PRO is a double running stroller. You can run, jog, hike, or roller skate on a bumpy surface with this stroller. It offers 9-position adjustable handle that makes it a comfortable choice for tall parents. The swivel-lock front wheel will give you a smooth ride when jogging and make it easy to traverse the city roads. We love that it has air-filled tires with top quality adjustable suspension system that offers an ultra-smooth ride on the roughest terrain. You can easily activate this stroller’s brakes using your hands making it a great choice to traverse hilly slopes. The front tires can be locked to offer stability when running or adjusted to rotate 360 degrees while navigating the city. You will love that the handlebars can be adjusted to fit all heights and the suspensions will ensure you have an easy ride on rough terrains. The handlebar is also padded to make your pushing comfortable. The load basket at the back of this stroller will enable you to carry most stuff you need on the go. To add to this are storage pockets to hold your child’s toys and snacks. Worried about how to carry your twins along your next outdoor workout? This stroller has two seats to hold 50 pounds each and is small enough to maneuver through most spaces. When it comes to tough terrains, this stroller has been designed to give you a smooth ride. The front wheel’s ability to rotate and be locked, inflated wheels, coupled with the high-class suspension system ensures a comfortable ride for you and your baby. You will love the easy push button to recline the seat. Your child will love that the seat’s ability to offer an upright seating position as this will give them a clear view of the outside. In addition, the seat has aerations and a 5-point harness to safely hold your baby. While running, you can enhance your baby’s safety using the wristband. The stroller folds in two simple steps making it convenient to transport and store. It has a buckle that locks to keep the stroller compact when folded. When not in motion, the seat can be locked by a foot-secured brake. The two seats have canopies each with a peekaboo window to offer you a view of both babies. The stroller is also easy to clean. 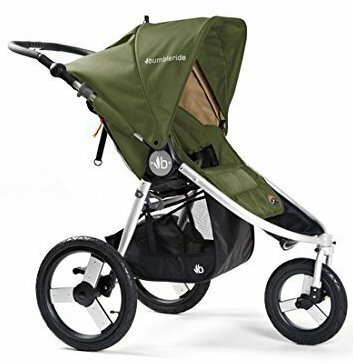 The BOB 2016 Revolution PRO Duallie jogging stroller has been designed with mountain-bike style suspensions, air-filled tires and a handbrake that makes it easy to jog, run, hike or stroll even on the roughest terrain. Its handle is padded and is adjustable to fit parents of different heights. If you are either an advanced runner, a beginner or one who loves outdoor workouts with more than one kid, this could be the best option for you. Why we like it: This luxury stroller reclines to multiple positions to keep your baby comfortable. We like that the seat can be reversed 360 degrees to face the mom and its height can be adjusted from 20 cm from the ground to 70 cm. You will love the fashionable design that will add style to your strolls. Bassinets offer great comfort to your child when they sleep. Think of a stroller that comes with a bassinet to give your baby comfort while out of the house right from birth. Should you need to change your baby’s diaper while on the road, all you have to do is to tilt the seat back. The ability of the seat to recline to multiple positions keeps your child comfortable throughout the ride. The seat can be adjusted up and rotates 360 degrees to give you options of giving your child the nature view or letting them face you. The leather design on the seat makes it waterproof and easy to clean. It has an easy to access storage basket to carry along your stuff. When it comes to safety, the seat comes with an easy to use adjustable 5-point harness that is padded at the shoulder for comfort. To add to the safety is the wrist strap that holds the pushchair to your arm. The handlebar is easy to push thanks to their adjustability. The canopy is big and adjusts to shelter your precious one from the sun. All the four wheels have suspensions and are durable to offer a smooth ride in most terrains. When it comes to parking, the parking brakes can be initiated by an easy foot push. The base of this stroller folds to facilitate storage. The seat’s cushions are soft to offer comfort. The cushion is also breathable so your child won’t suffocate. You will love the additional rain cover that is wind resistant and a mosquito net that comes with the seat. It also has a cup holder so you can enjoy your drink on your walk. The Hot Mom 3 in 1 travel stroller has a great design to give the benefits of a bassinet and a stroller. The wheels of this stroller can be locked to function as a static bassinet. The foldable canopy and raincoat will protect your little one from weather elements. The luxurious appearance makes this a perfect choice for those who want to hit the neighborhood in style. Why we like it: Designed with three wheels with a lock-swivel on the front wheel and all wheel suspension system to offer a smooth ride and easy maneuverability. We will love that with one purchase, you get the best stroller and best car seat. It folds and unfolds with one hand and self-stands when folded. The stroller is durable and will grow with your child. How would you like a combination of the best car seat and the finest stroller? The stroller has 2 large wheels at the back and a swivel front wheel making it great to maneuver corners and most terrains. If you live in a place with rough terrain, there is an optional additional wheel to make it easy for you. The stroller can be controlled using on hand so you can use the other hand to carry along additional stuff. You will also have a storage basket at the back for additional items you may need while outside. It comes with an extra-large canopy to offer maximum sun shade. You can take a stroll during a sunny day with this stroller, thanks to the large canopies for maximum sun shade. The peekaboo window will allow you to have a view of your baby without going to the front side. The seat offers multi recline positions for your child’s comfort. You can let the wheel rotate fully to help navigate tight corners when walking or lock them for a straight ride when moving fast. The suspension mechanism on the seat will ensure a smooth and comfortable ride even on the toughest of terrains. It also has a 5-point harness to keep your child safe irrespective of the bumpiness of the ride. You will love the brakes as you can easily activate with a simple leg push. A great feature of this stroller is the car seat. The car seat can be attached to the stroller with a quick click. This feature will enable you to carry your sleeping child from the car to the luxury stroller without disturbing them. The Britax 2017 B-Agile stroller easily folds using one hand and has a frame lock making storage easy. It is lightweight so you can carry it with ease. The stroller seat comes with enhanced safety features to offer your child protection beyond government standards. The Britax 2017 B-Agile stroller is foldable and lightweight enhancing its portability. It is convertible to a double stroller and also car seat compatible. The car seat is easy to install and remove. If you are a parent that is always on the go, this could the best travel system for you. Why we like it: Baby Jogger City Mini stroller is a lightweight stroller that easily folds in one step. It offers a large seating space. You will love the multiple recline positions and the option of a travel system that will hold your child from birth until they are 65 pounds. You will love the padded, spacious and deep seat that will hold your baby comfortably. 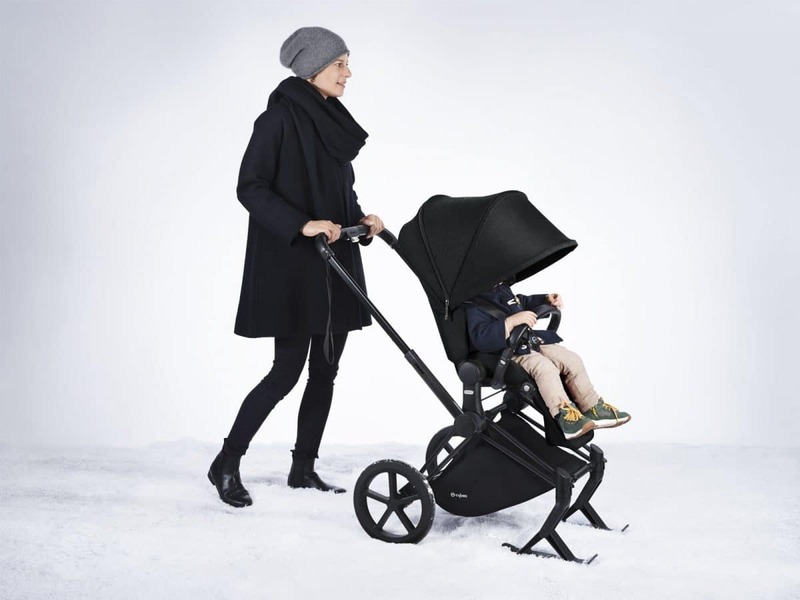 With this stroller, you can comfortably take your child to the park, shopping, and any other city errands thanks to the huge canopy that will keep them from the sun rays. The canopy has 2 peekaboo windows making it easy for you to watch over your child. If you need to carry a few items for your errand, the stroller has a mesh pocket for this purpose. If you are the kind of parent who is always running errands within the city, this could be the best stroller for you. The spacious seats are padded to keep your baby comfortable throughout. In addition, the seat tilts back to a nearly flat position to keep the baby comfortable. This also makes it easy for you to change your child’s diaper in case you’ll need to. The seat has a mesh for aeration and a cover just in case the weather gets cold. The 5-point harness is adjustable making it possible to grow with your child’s changing height. The stroller is stable thanks to its double front wheels that can rotate 360 degrees to manage sharp corners. The front wheel also has a suspension to give smooth rides on bumpy terrain. If you have a toddler, the seat is car seat compatible allowing you to carry along your newborn to your errands. The easy one step foldability of this seat is adorable. You can fold and carry with one hand as you use the other hand to hold your child’s hand during city errands. The back wheels can also be detached by an easy button push enhancing its storage. The Baby Jogger City Mini stroller reclines with one hand and goes down to an almost flat position. The 8.5” never flat tires can handle all terrains and the locking swivel mechanism on the front tires will make it even easier for you on different terrains. If you are a city parent, this stroller could be the best option for you. Why we like it: The Quinny Buzz xtra 2.0 stroller has a soft fabric that is easy to clean. The canopy, footrest and storage market are made of tough fabric thus durable. We love the adjustable handlebar for different heights and lockable front wheels that make it easy to navigate bumpy surfaces. It also offers the option to reverse the seat to face you so you can watch over your baby. The Quinny Buzz Xtra stroller comes with a storage basket to carry your stuff with you on your stroll. The stroller unfolds automatically saving you a great deal of time while setting it up. It is comfortable to push thanks to the padded, adjustable handlebar. The canopy’s height can be adjusted and has an eyeshade to protect the baby from sun rays. This urban stroller has excellent brakes. The brakes that lock in a single push ensure your baby is safely locked when not moving. The handlebar easily adjusts to fit parents of different heights. The front wheels can be locked to keep it straight on the road. The belly bar of this stroller can be pushed on the side to make it easy for you to put your child on the stroller and take them out. The never flat tires and suspension on all wheels ensure a smooth ride on urban terrain. The canopy, footrest and storage basket of this stroller are made from tough canvas to make them long-lasting. It folds in 2 steps making it easy for you to fold and store away. Assembling the stroller is hassle-free and you will love it. The Quinny Buzz Xtra stroller will take you about 15 minutes to assemble. The canvas fabric makes this a durable and easy to clean stroller. Although an average stroller that cannot traverse the toughest terrain with ease, it is a great option for the smooth urban terrain. Why we like it: The Cynebaby Newborn stroller has an aluminum frame that is lightweight and durable. The stroller has adjustable handlebar and is easy to fold. Comes with shock absorbing tires and swiveling front wheel to give your baby a smooth ride. You will love that it is convertible and will grow with your child. The Cynebaby stroller comes with a big padded bassinet to offer great comfort and safety to your baby. The bassinet allows you to take along your baby right from birth until they are 3 years old. You will love the convenience of the removable bumper bar as it allows you to pick up and place back your baby with ease. This stroller is convenient for tall parents thanks to the height adjustability of the handlebar and the high view seat. At the bottom of the seat is an accessible loading basket that can hold a lot of your stuff. How would you like a seat that offers different positions for different tasks? The Cynebaby stroller seat can be reclined to multiple positions for your convenience. You can let your baby sit upright, relax or tilt it to an almost flat position when they are sleeping or when you want to change their diaper. Tall parents will love the stroller’s high view as they do not have to bend to check out on their babies. Your baby will love the high view as it allows them to see their surroundings better. The easy to use 5-point harness will keep your child safe. The stroller is great on all terrain thanks to the rubber tires. The tires are great as they require low maintenance and are durable. The front wheels swivel to enable you to negotiate most terrain and tight corners. The wheels also lock for a sturdy movement on bumpy terrain. It has back foot parking brake that is easy to engage and disengage. The Cynebaby luxury stroller folds with ease and self-stands to make storage easy. The back of the seat has a storage pouch for your personal effects. It comes with wrist straps ensuring safety as it is always close to you. The Cynebaby stroller is durable and convertible ensuring it will grow with your child over years. Its rotating wheels can be locked and suspension wheels absorb shock for a smooth ride. 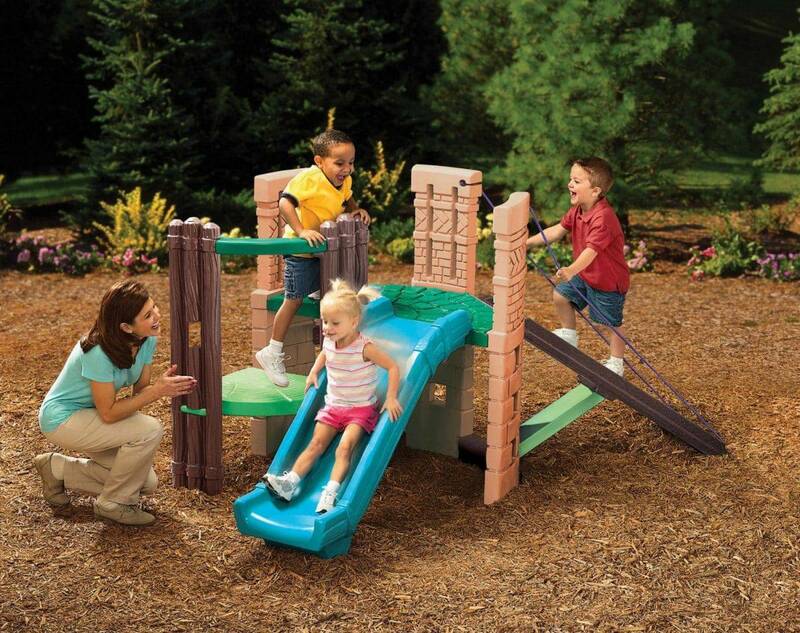 The adjustable handle makes this a great option for parents of all heights. Why we like it: The Belecoo Luxury Newborn Baby stroller seat fully reclines for the baby to either sit up or lie and can is reversible. It is easy to fold and has shock absorbing wheels. We love the adjustable and non-slip handle that gives you full control of the umbrella stroller. The Belecco™ Luxury Newborn stroller is a luxury umbrella stroller designed for your convenience. The handle of this stroller can be adjusted using one hand to fit your height making it easy for you to push. To add to this, they have been designed to have a firm grip that will make the pushing comfortable. If you want to have the view of your baby on the streets, you can adjust the seat to face you. It comes with a storage basket so you won’t have to worry where to place your necessities while walking. This umbrella stroller has great safety features. First, the rubber wheels are very shock absorbent and will keep your child safe. Secondly, the foot brakes enhance safety as they can be easily engaged by a simple push. The sit fully reclines to add to your baby’s comfort. You can either let the seat face the front for your baby to have a better view of the surrounding or let it face you. The Belecco™ Luxury Newborn stroller is easy to fold and fits in a small car trunk. The seat base is wide to allow the stroller to fit your plus size baby. The leg rest is extendable to add to their comfort while on the ride. The stroller will stay for long thanks to its strong steel frame. You will love the additional wrist strap that will keep the stroller closer to you for your baby’s safety and the cup holder for your drink. The Belecco™ Luxury Newborn stroller handlebar can be adjusted to 12 different positions to fit different heights. It has a solid frame that makes it durable. The extra-large canopy, foldability, and ease of carrying make it an excellent option for outdoor travel, shopping or commuting. Why we like it: The Babyzen YOYO+ is a lightweight stroller that can be used by both a toddler and a newborn baby. The fabric on the seat is removable for easy cleaning. It folds into a small package and has a carrying strap that makes it easy to carry along. We like that is compact and light that you can use it for air travel with your baby. The canopy has 2 panels to provide sunshade for your little one. It also has a peekaboo window for you to have a view of the baby without going to the front side. It has a long handlebar that is comfortable for parents of up to 42 inch. The stroller has an opening at the back for aeration. The opening also comes in handy as it allows a taller child to recline on the seat. It comes with a mesh pocket at the back of the seat for personal items such as your mobile phone or for your child’s toys. To add to this is the storage basket at the bottom of the seat for extra storage. How would you love a stroller you can carry over your shoulders when walking? The Babyzen YOYO comes with a carrying strap to allow you to throw the stroller over your shoulder and use your hands to do other things. 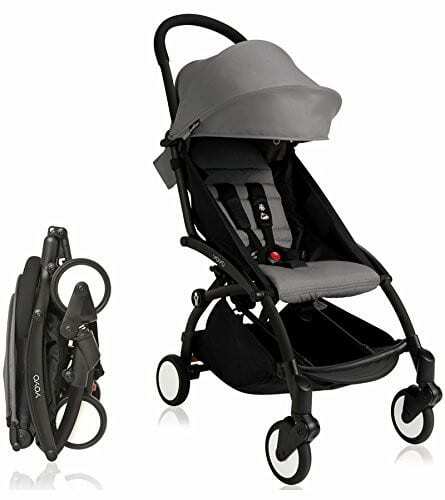 The seat’s large space and the tall canopy makes this a great stroller for your growing baby. Your child will love the padded seat that keeps them comfortable while on the stroller. The seat can recline to make your child comfortable when sleeping. The seat gives full uprightness when you want your child to have the full view. When it comes to safety, the luxury umbrella stroller has a foot pedal that is easy to activate. The belts have a five-point harness with a buckle at the center to make it easy for parents to release. The wheels of this stroller are made of hard rubber making them durable. You will appreciate that the front wheel swivels so you won’t have to worry about the urban terrain and tough corners. The suspension on all wheels ensures a smooth ride on bumpy places. You will love how compact this buggy is. It easily folds with just one hand and can be carried over the shoulder. What is great about the stroller is the carrying strap that will make you fall in love with the stroller. The seat is compatible with a baby car seat and newborn nest making it easy for you to travel with your baby over years right from birth. It comes with a rain cover to ensure a dry ride all the time. The Babyzen YOYO+ folds easily with one hand into a compact package. It is lightweight and comes with a carrying strap. If you are a parent who frequently travels by plane or train, this would be the best choice for you. This luxury stroller will offer you all in one; a bassinet, car seat and a stroller. It can be used from birth over years. This luxury stroller is compatible with a car seat without using an adapter. It is best for parents who often drive and would want to use a luxury stroller too. This luxury stroller is lightweight and doesn’t take up much storage space. It is best for parents who are always traveling. This luxury stroller is best for parents who like exercising. It comes with features such as 3-speeds steering. This stroller has two seats. It is meant for parents with more than one kid of almost the same age or for twins. Buying a luxury stroller for the first time will need you to put into consideration a number of things. We have listed some factors to put in mind before diving into buying one. How will you be using the luxury stroller? This is important as it will help decide what features to look out for. If you need a luxury stroller for running errands around the city, you might need one that is easy to fold and carry. 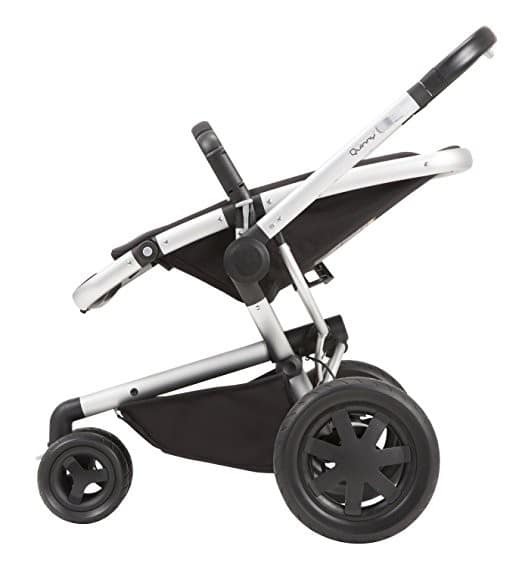 Luxury strollers for jogging need to be easy to push on all terrains with a lockable front wheel for sturdiness. Luxury strollers for travel should be lightweight and compact. Not all luxury strollers have the same height of handlebars. 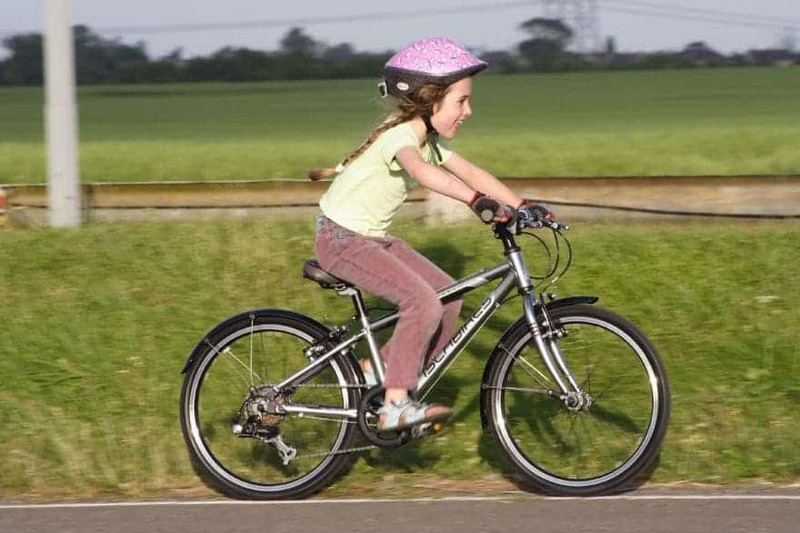 If you are a tall parent, you might need one with an adjustable handlebar or a tall handlebar to fit your height. The luxury stroller was meant to bring your child with you whenever you go out. If you have more than one kid, you will need a luxury stroller that can take an extra seat. Some luxury strollers are designed for twins. Luxury strollers come at a hefty cost and it would be great to know how much you are willing to spend on one to make your selection easier. Your child’s safety cannot be overlooked. Before buying a luxury stroller, ensure it has all the safety features such as the 5-point harness, easy to engage brakes, wrist strap and many more. The kind of terrain you will use the luxury stroller on is an important consideration. You will need features such suspension on wheels to traverse tough terrains. Also, consider swivel-lock wheels. The frame and fabric of the luxury stroller you are picking need to be strong. This will ensure your child uses it for long without replacement. The fabric should also be easy to clean for your own convenience. What else do you get alongside the travel stroller? Consider a luxury stroller that comes with more than just the pushchair. Though not a must, it would be good to have one with a cup holder, carrying strap, mosquito net among other features for your convenience. We believe you are now better placed to select the best luxury stroller on your next buying. Whether you need one for twins, for tough terrains or on a budget, we have put together a list of best luxury strollers in 2018 to make it easy for you.